A few months ago came the announcement that Lucasfilm is planning to re-release all the episodes from the Star Wars saga in 3D, of course by using 2D to 3D conversion techniques to add depth int he movies. And that led to a lot of controversy among the fans, whether they would want to watch the new releases or not. And now we already have an official release date set for the first of the six movies in 3D as apparently Lucasfilm and Twentieth Century Fox have set the date February 10, 2012 for the Star Wars: Episode I The Phantom Menace premiere in 3D. The 2D to 3D conversion process will be supervised by Industrial Light & Magic (John Knoll from ILM in the video above) and considering the time that will be spent for the conversion we can safely assume, that it will be a good conversion. But will that make the not so liked by the Star Wars fans Episode I become more attractive when converted in 3D than it is in 2D is something that remains to be seen. 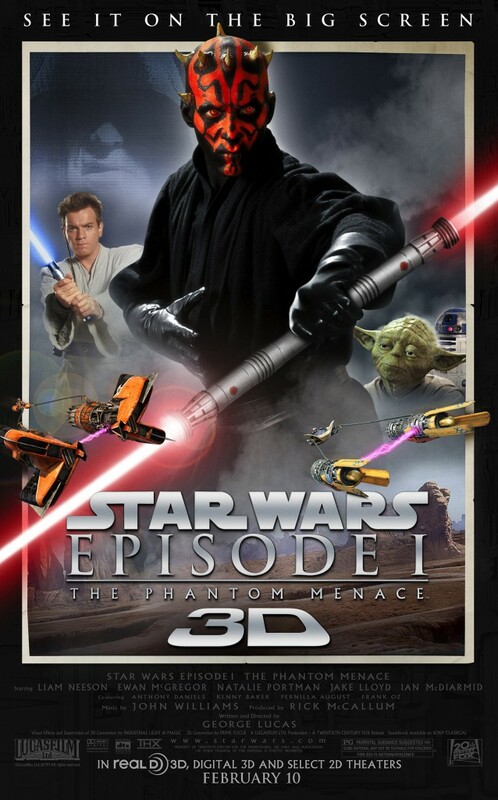 What I can say is that I will most likely be watching the Star Wars: Episode I The Phantom Menace in 3D just out of curiosity to see how well they did with the conversion in 3D, what about you?